Kabbalists teach that when a person passes away, the soul leaves the body, and the physical body becomes impure; meaning, negative forces can attach themselves to it. And if a person is in proximity to that dead body, he or she receives some of that impurity. That impurity is removed through a process called the para aduma, the red heifer, and it is the physical discussion in this week’s portion, Chukat. The Zohar explains that it’s not just about the technical process of removing this impurity, but rather that it goes to the core of how a person disconnects himself from the forces of darkness, from what’s called the Sitra Achra, the Negative Side. Therefore, when we talk about the force of death, which is what this week’s portion is about removing, we are not just talking about that moment of physical death that people experience. Rather, we are talking about the force of death that people experience every day; every sense of disappointment, sadness, or anger is each a piece of, a connection to, that ultimate force of death. And so the gift that is given to us on this Shabbat is the ability to begin detaching ourselves from the forces of death. As such, if we understand that death came into our world through the forces of ego, clearly, then, the way to remove death in all its forms is by diminishing ego. Therefore, we read in this week’s portion that part of the process of purifying is not simply a physical process given to Moses and Aaron to burn the cow and sprinkle it on the impure person, but rather it’s about the process that every single one of us is meant to go through to separate ourselves from these forces of death and darkness. 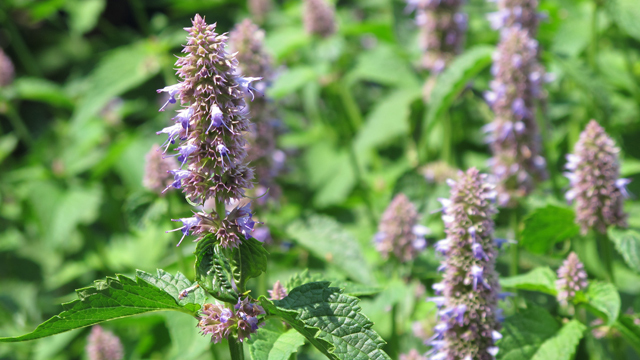 The Zohar and the Midrash talk about the ezov plant, which is commonly translated as the hyssop. It is a very lowly plant that grows on walls. And it says in the Midrash that the forces of darkness which come from the ego are the result of a feeling of being above somebody else; and the hyssop, this ezov, represents the humbling of oneself.From thiswe gain the understanding that the forces of death – including daily sadness, unhappiness, anger, and disappointment - come from the ego, the feeling of superiority, of being above. And the only way to heal that, the only way to change that and to disconnect ourselves from these forces of death, is through humility. By pushing ourselves down. In the Gemara, in Tamid, when it asks, “What can a person do to have life?” The answer says: Yamit et atzmo, “He should kill himself.” Rashi answers that same question by saying, yeshpil et atzmo, “he should humble himself.” The word in Hebrew is actually much stronger than “humble;” it is like, “he should push himself down.” So what do these quotes mean? They are saying the only way to achieve life, both daily life and ultimate immortality, is by consistently killing and pushing down the ego. Further, the Ari teaches that the numerical value of Sameach-Mem-Alef-Lamed, which represents the Angel of Death, the angels that bring both daily death and ultimate death of the body, is also the numerical value of the word anavah, which means “humility.” Why? Because when a person is diminishing his ego, he has complete control over the Sameach-Mem-Alef-Lamed, the Angel of Death. Every time we act with ego, every time we react with anger or disappointment, what we are actually doing is putting out our hand and telling the forces of darkness to come and rest with us. So what happens throughout the day is we build ten, twenty places for these forces of negativity, of death, to come and rest. Then the next day we are depressed or unhappy. Conversely, when we have the opportunity to act with ego, and we stop it, we are cutting off one of those opportunities. If a person does enough actions of killing those openings, of killing those actions – meaning today, when I had the desire to become angry at somebody who did something to me or to lash out at them, and I don’t – then that action cuts off a place for the negativity to rest. When the Ari teaches us that the angel Sameach-Mem-Alef-Lamed, the Angel of Death, is the same numerical value of anavah, of humility, he is teaching us that when you are able to achieve that ultimate level of humility you have cut off all those branches, all those places for that force of negativity to rest. You are now completely hidden. There is no more opening. It’s not just a spiritual healing that we can effect through this action of killing the ego. It’s also, very importantly, a physical healing. If a person has any ailment rooted in the physical world – health, financial, relationship, and so forth - the greatest power to heal it is the power of what this week’s portion Chukat calls the ezov, the power of diminishing the ego. This Shabbat, therefore, gives us the power to, or at least begin the process of, removing the forces of death and darkness. But there is only one way: to kill the ego.